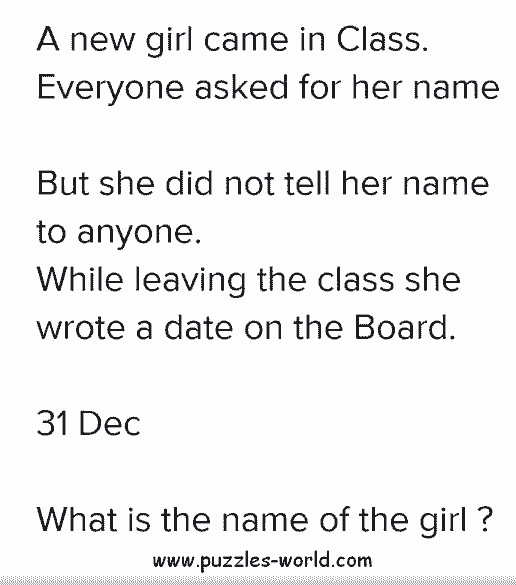 31 Dec What is the name of the girl puzzle ? A new girl came in Class. Everyone asked for her name. But she did not tell her name to anyone. While leaving the class she wrote a date on the board. What is the name of the girl ? The Name of the girl is "EVE"